As March is coming to an end the famous Aliexpress marketplace is going to be celebrating its 7th anniversary from March 28th till March 31st and most of the phone and electronics makers will happily join in. 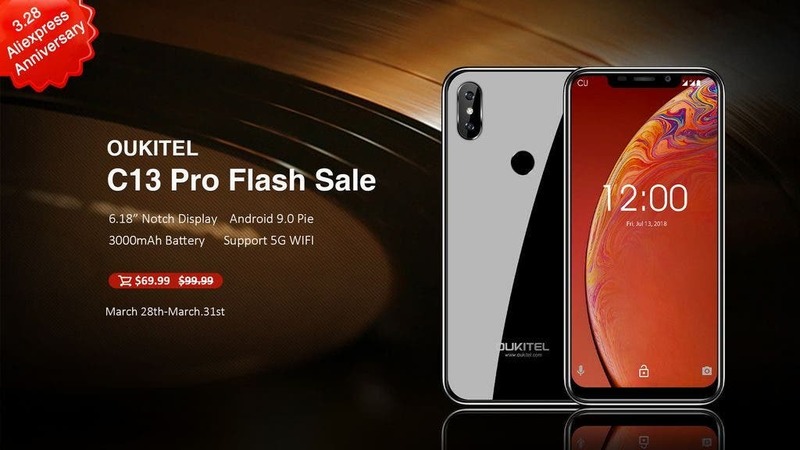 OUKITEL of course can’t stay away from such opportunity and will be offering some big discounts for their products. And aside the Aliexpress coupon codes and store discounts there will be some bundle deals. So which models will be available ? 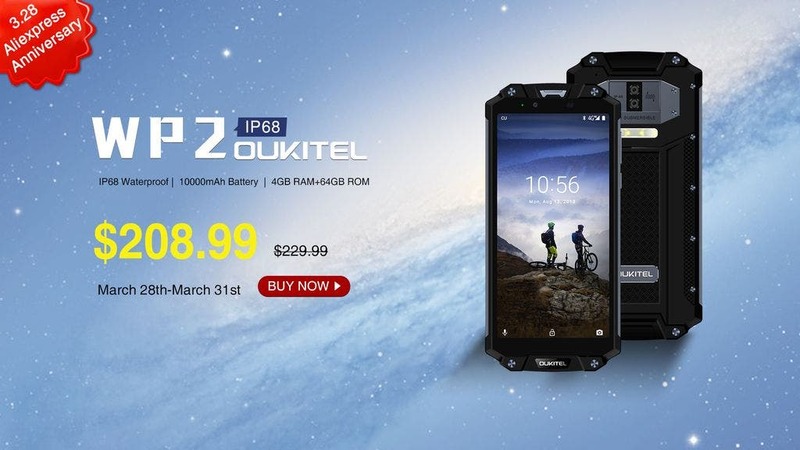 For example the rugged smartphone OUKITEL WP2, suitable for those who often work outside in fierce environment or love outdoor activities. It gets a super tough body which is IP68 waterproof, dust-proof and shock proof. It is powered by massive 10.000mAh battery with a 9V/2A flash charge. With single 4 hours charge it could support up to one week use. WP2 sports a 6 inch FHD+ 18:9 display with Corning gorilla glass. and offers 4GB of RAM, 64GB of internal memory and packs a MediaTek MT6750T, 64-bit processor under the hood. And for the sale it can be yours for just $208.99. 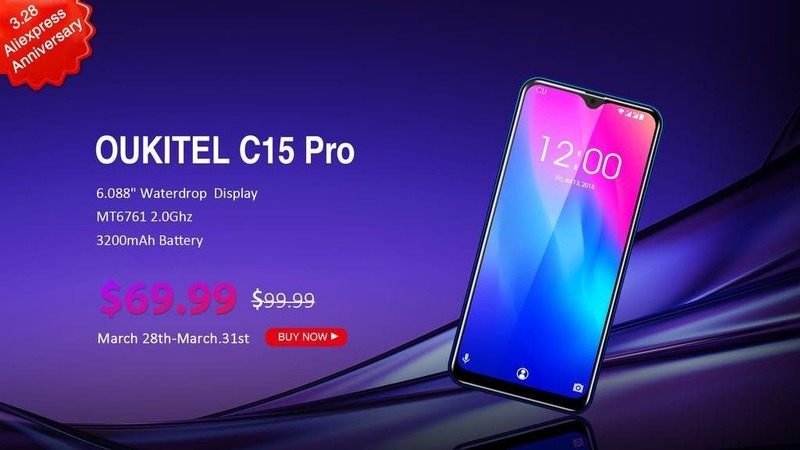 Next we have the entry level OUKITEL C15 Pro featuring the 6,088-inch waterdrop notch display, Helio A22 quad-core processor, 2 GB RAM, 16 GB of internal storage, 8MP+2MP dual rear cameras, 3200 mAh battery capacity and Android 9.0 Pie system. This cheap piece will be up for grabs for only $69.99. Craving some iPhone XR look-alike for extra low price ? Then you will love the OUKITEL C13 Pro with 6,18-inch notched display and dual glass body design. It’s powered by MT6739 quad-core processor, 2 GB RAM, 16 GB of internal storage, 3000 mAh battery and Android 9 Pie system. And the low price ? Well just $69.99. 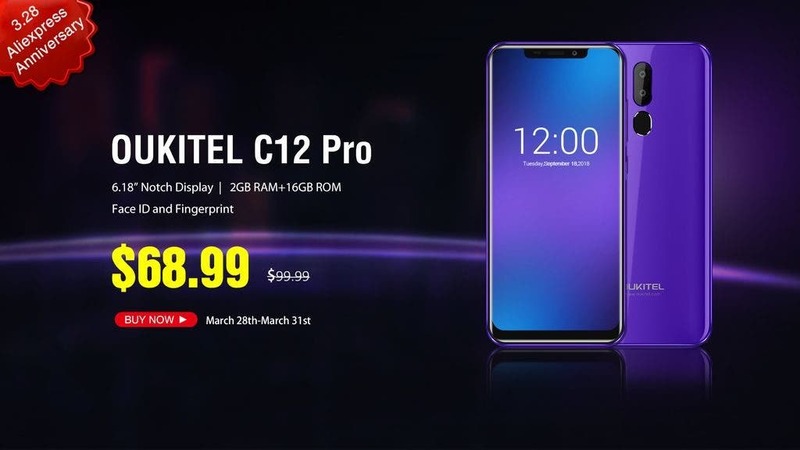 Then we move on to super entry level pieces OUKITEL C12 and C12 Pro sharing the 6,18-inch notched display and polycarbonated back cover or 2 GB RAM, 16 GB of internal storage, 3300 mAh batteries and dual SIM slots with the independent microSD slot. The main difference lies in the processors, where C12 gets 3G-only MT6580 and C12 Pro rocks the MT6739 with 4G full support. Priced respectively at $57.99 and $68.99 both phones are interesting affordable choices. Last, but not least we have the midranger OUKITEL K7 with huge 10.000 mAh battery and fast 9V/2A charging. 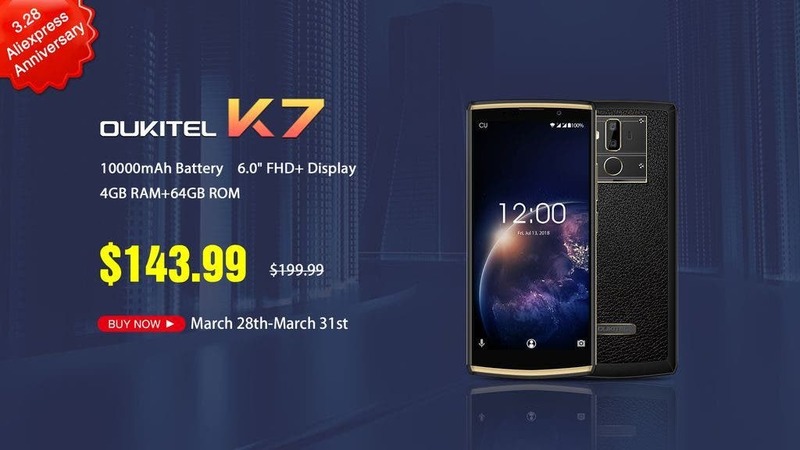 K7 comes with 6-inch FHD+ display, leather cover back, MT6750T octa-core processor, 4 GB RAM, 64 GB of internal storage, 13MP+2MP dual rear cameras or 5MP selfie cam. You can get one in the sales for just $143.99.